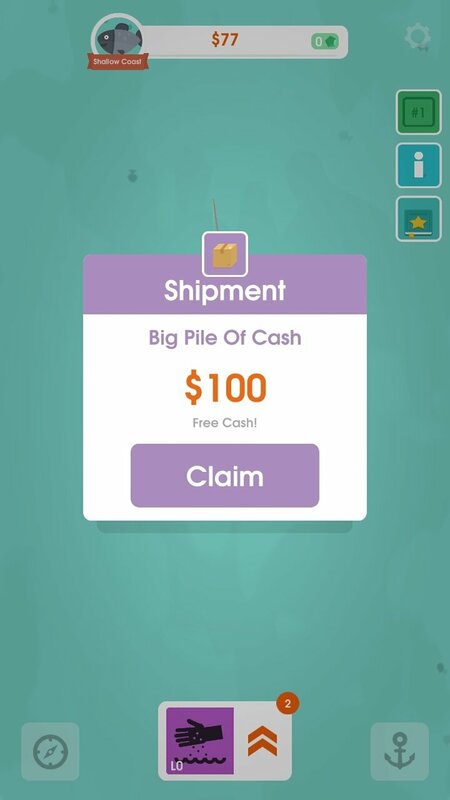 Despite the simplicity of tycoon games for Android, the latter are usually popular thanks to offering us improvements that increase our capacity to carry out the action that leads us to complete the game's goal. 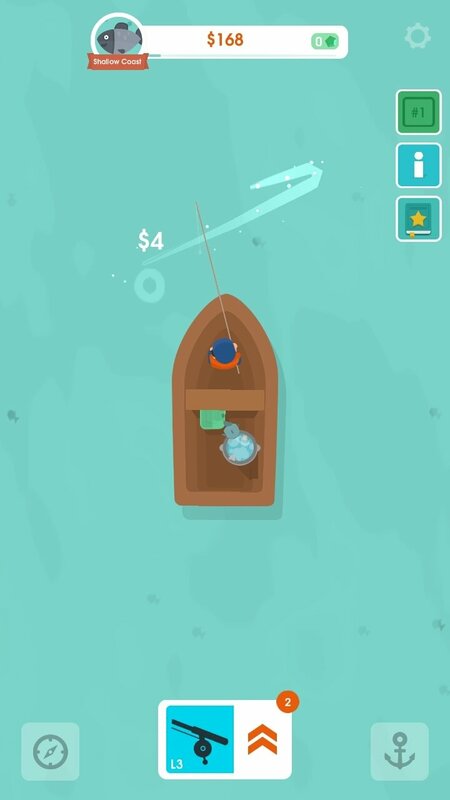 A great example can be found in Hooked Inc: Fisher Tycoon, where we'll have to become a fishing tycoon from scratch. 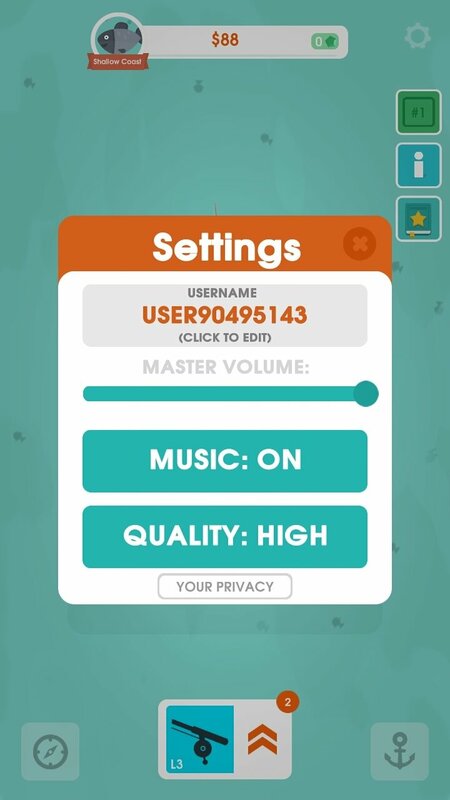 It's a game that follows suit to the clicker genre but with an important exception: here we won't have to click on the screen but simply swipe our finger to catch as many fish as possible. Because that's precisely our target: the more fish we catch, the more income we'll earn to be able to improve our equipment. 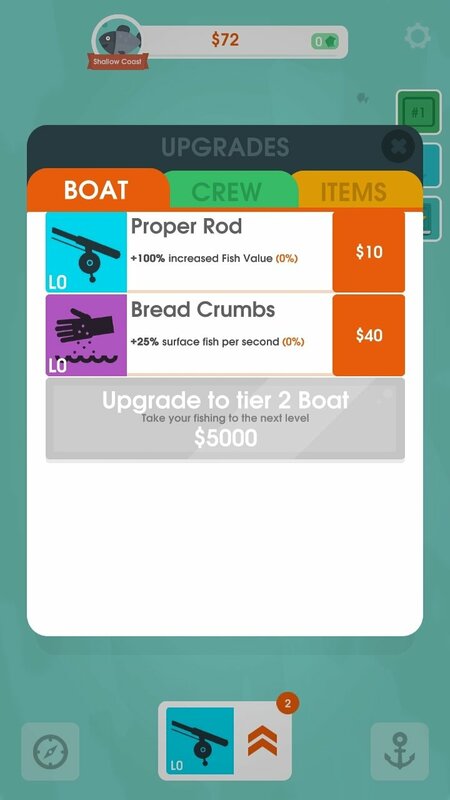 Improvements that will help us to increase our fishing capacity and so on. We'll start off with a humble ship that we can gradually upgrade with elements such as a better fishing rod, food to lure in more fish, a larger crew, a larger boat... and so on until you become the captain of a whaleboat. 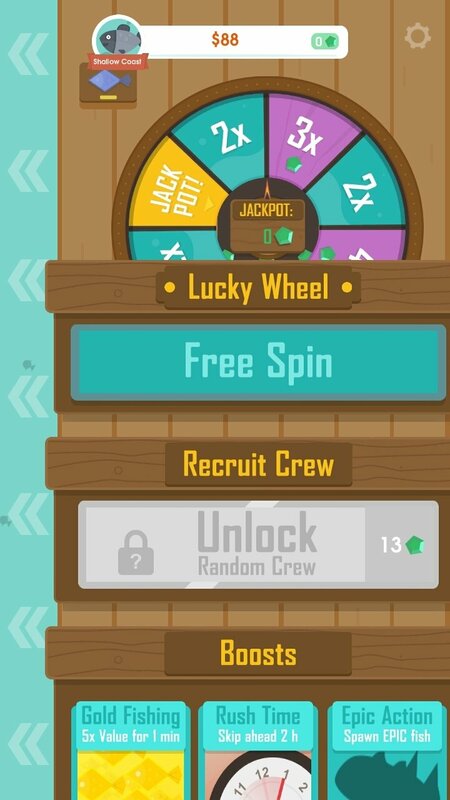 Recruit and improve your crew. 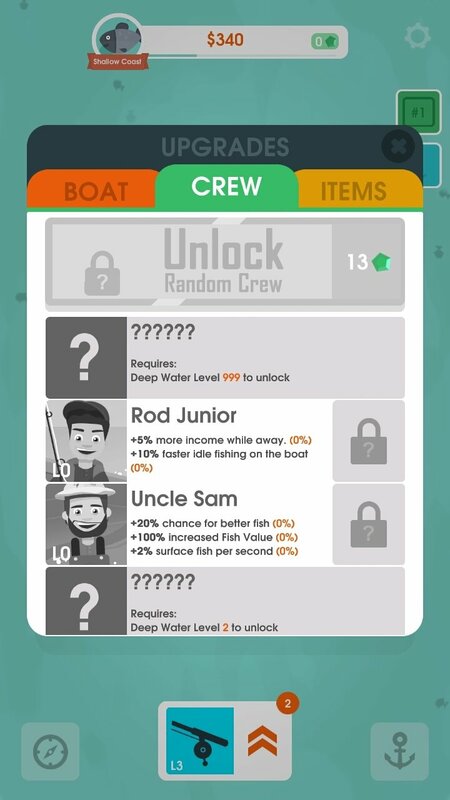 Search for legendary and strange fish. Unlock improvements for your equipment. Take part in online multiplayer tournaments. Download the best fishing game for Android and overexploit the ocean without harming the environment.